I learnt something new! I present my very first slaved objects! 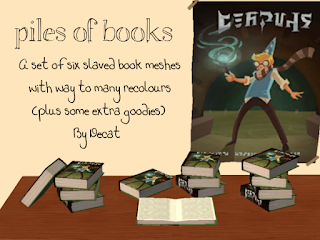 Back in 2014, I made a deco book using the maxis book mesh and slapped heaps of textures on it. 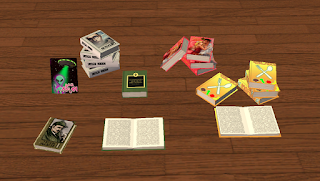 I have now created 4 new meshes, an open book and 3 different book piles, slaved them to the original closed book, and added some 70 new textures! I have also taken Aikea Guinea’s slightly smaller single book, and Fantasy Rouge’s bookstand version (http://fantasyrogue.livejournal.com/37036.html), and slaved these to my books as well. 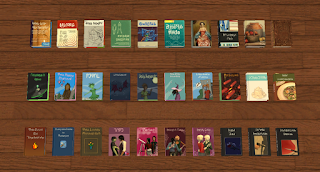 The 70 new textures include all 30 textures from Aikea and Fantasy Rouge’s books, 10 Victorian book textures made by Budgie2Budgie for TS4, 28 TS3 and TSM textures, 1 Henry Pufter cover made from the TS4 poster (Harry Potter reference :D), and 1 cover from Treeags Book of Talent (http://www.modthesims.info/download.php?t=293562). All books are found in Deco -> Misc, for $60 each. Aikea and Fantasy Rouges meshes have new GUIDs and ‘slave’ added to the end of the name, so you should be able to have these and the originals in the game at the same time. I have also included my original mesh that I have used as the master. The closed book mesh is the same as the original, the only difference being the one from this post has the description changed to mention that it is now the master mesh, but they have the same name and GUID, so it doesn’t actually matter witch one you use. 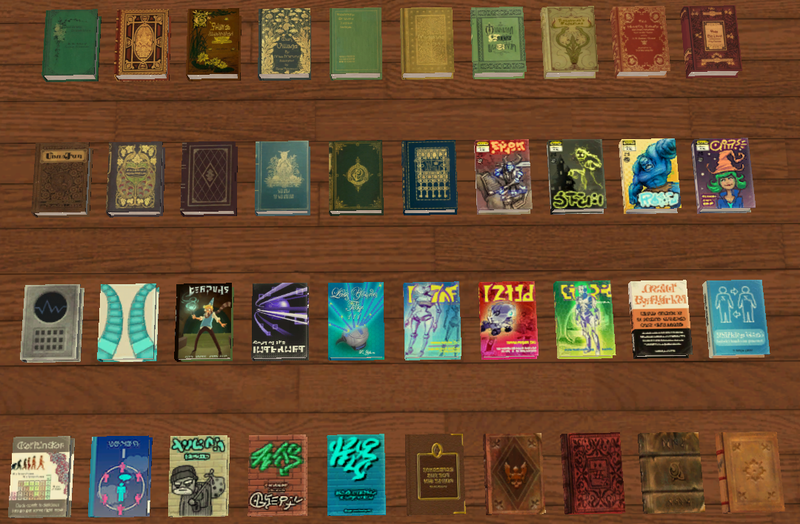 I also did four recolours of CrispsandKerosene’s joke book using textures that are included with the slaved books. You get a TS2 kids book, a TS3 charisma skill book, a medieval book from TSM, and a Victorian book with a texture by Fantasy Rogue. C&Ks mesh isn’t included, get it from earlier in this thread. 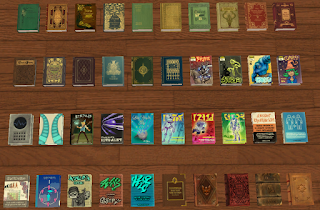 Lastly, I also stuck 3 TS4 book related posters on to maxis meshes; these are found in Deco -> Wall, Henry Pufter and the reading monster are on the Civic Idol mesh, and the growing books are on Surfing the Universe. 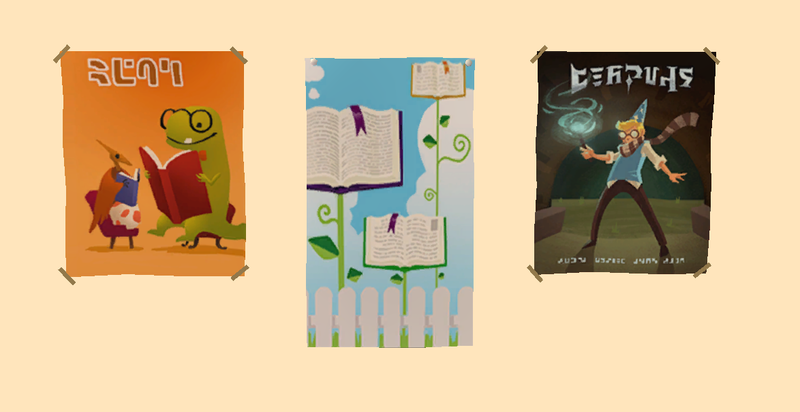 Those books are super cool! Thanks! But i was wondering if you could also make alone standing at the bottom book, you know, like the books stand in bookcases. 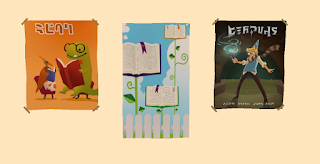 So there would be possibility to fill the shelves with books, especially useful for book stores(in my opinion) because people usually don't buy a stack of 4 exactly same books and books often stand in stores like they stand in usual bookcase. I could probably do that. I was thinking to do the open one upside down as well, with the cover on top.